I am Tony DiCola, a software engineer who lives in Seattle. Learn about me, and my projects. Tony DiCola is a software engineer with experience developing for embedded systems and cloud services. His work includes creating code for Adafruit Industries' hardware on Raspberry Pi, Arduino, and MicroPython-based platforms. 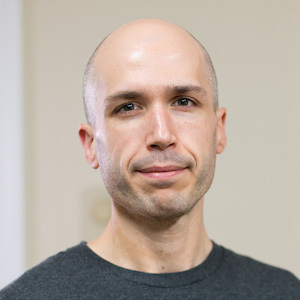 He has authored numerous projects that explore creating intelligent and Internet-connected devices, some of which have been featured in publications like Make, and Hackspace magazines. Previous to his work with Adafruit Tony spent time at Microsoft working on large-scale cloud services like OneDrive. 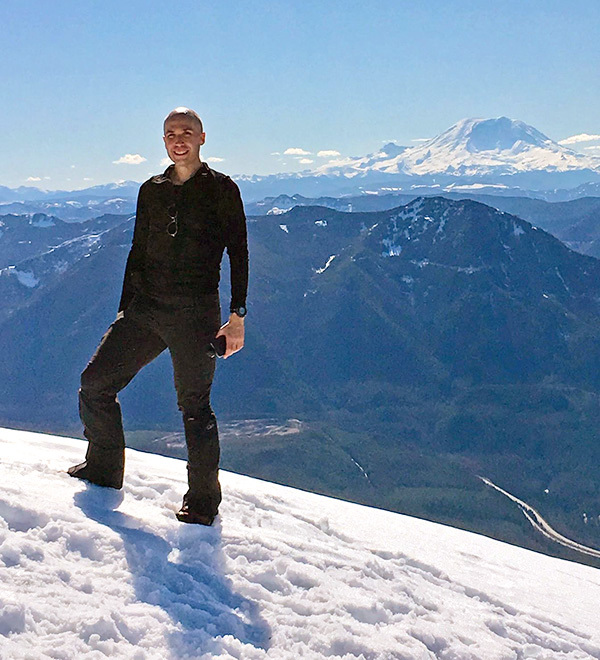 Tony lives in Seattle, Washington, and spends his free time exploring the beautiful mountains of the Pacific Northwest as a member of The Mountaineers and Washington Alpine Club. 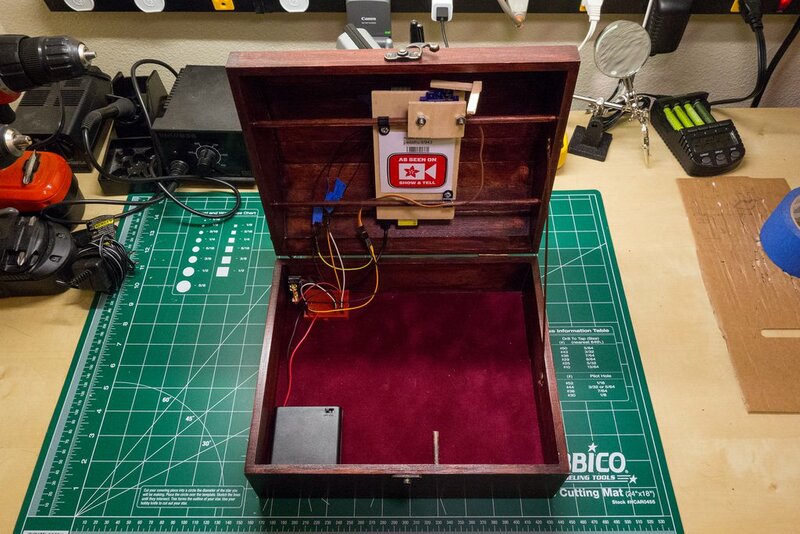 Build a treasure chest that unlocks itself using facial recognition code running on a Raspberry Pi. Demonstrates using OpenCV face detection and recognition with Python code. Featured in Make magazine volume 40, and mentioned in HackSpace magazine issue 1. Modern version of the classic haunted house trick with a creepy painting that stares at you and follows your movements. 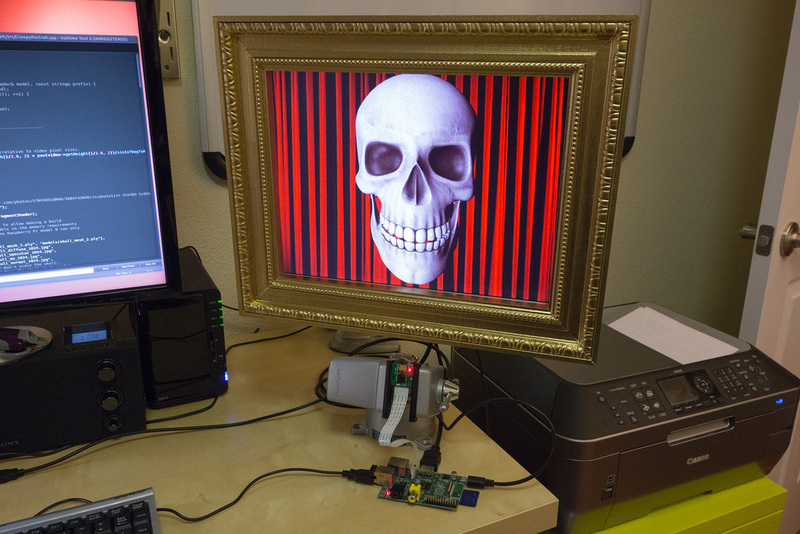 Built with a Raspberry Pi, Pi camera, and C++ code using OpenFrameworks and OpenCV face detection. 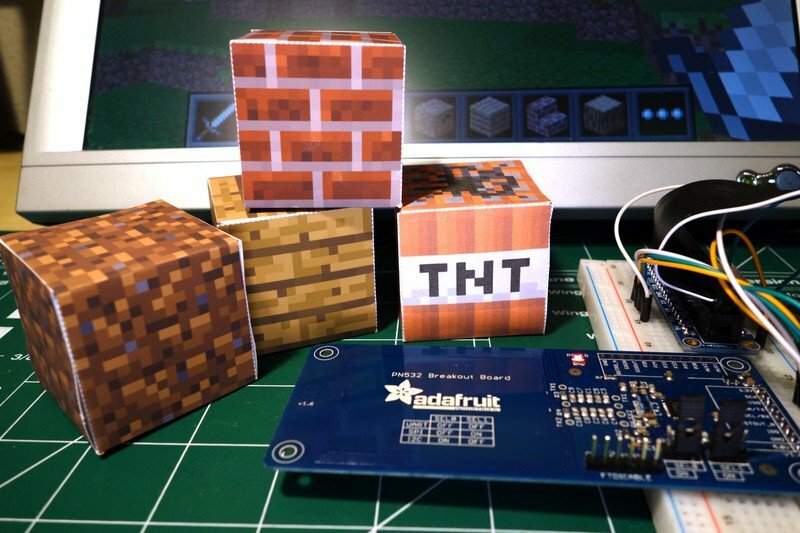 Papercraft Minecraft blocks that you can physically 'swipe' to build in the virtual game world. Uses the PN532 near-field communication controller and Python code on a Raspberry Pi. Featured in Linux User & Developer Magazine issue 154. 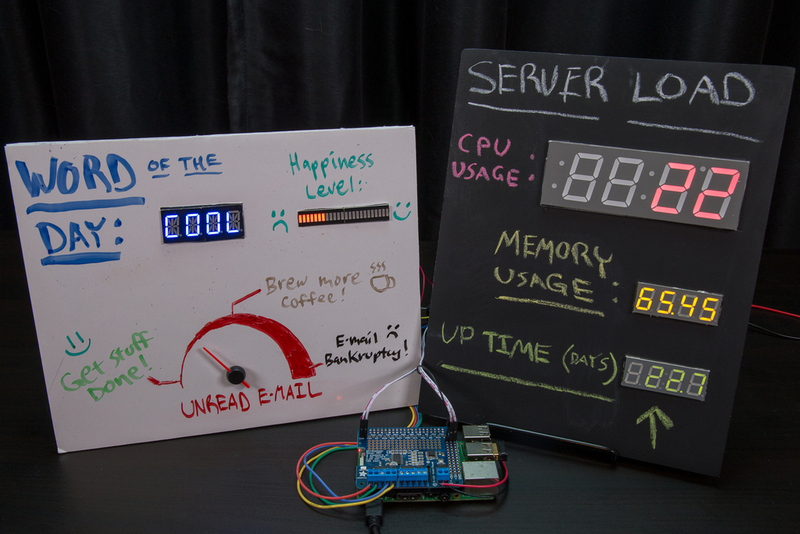 Build a physical dashboard to display measurements and other data on LED displays and gauges driven by a Raspberry Pi. Exposes a simple Python-powered REST interface to control the dashboard widgets. 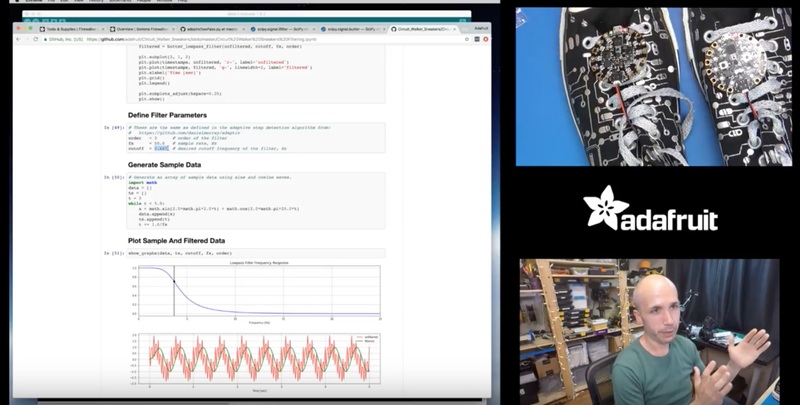 This three part video series explored how to adapt a paper on step detection with accelerometers to run on the Circuit Playground electronics learning board. See part 1 for an analysis of the algorithm and filtering, part 2 for enhancements to the algorithm, and part 3 for implementing a Python version. 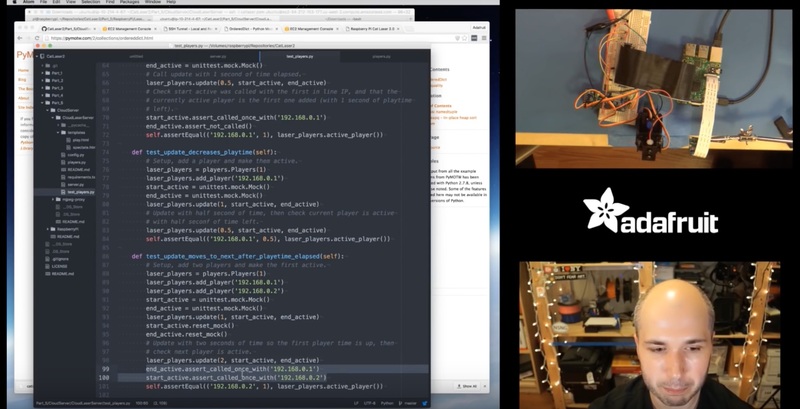 This remake of an earlier web-controlled cat laser pointer toy project explored how to make it accessible from the internet with the MQTT protocol and mjpeg video streaming. See the final part five video for a demonstration of the final project. 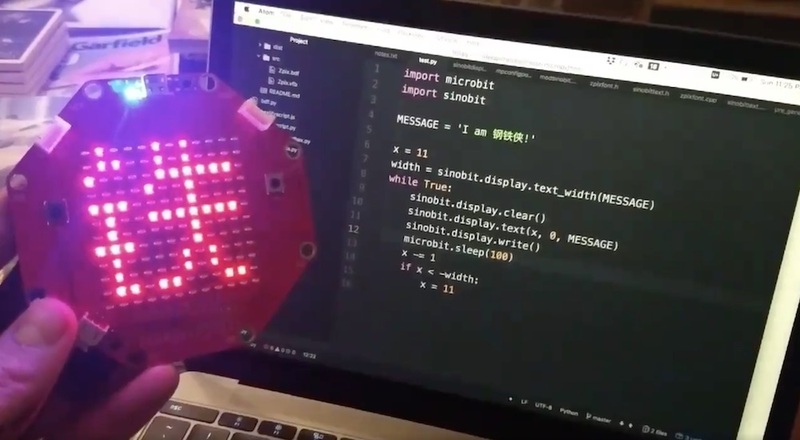 A port of BBC micro:bit MicroPython to run on the sino:bit small board learning computer. Enables a world-wide audience to learn and program hardware with Python code. Working replica of the 'verbal morality statute monitor' AKA swear detector from the movie Demolition Man. Uses CMU PocketSphinx to perform real-time speech detection and prints citations on a thermal printer when swear words are detected. 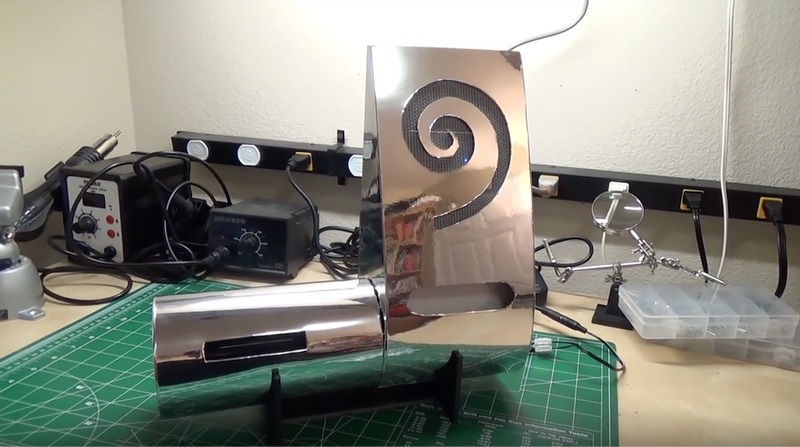 Grand prize winner of the 2014 Hackaday Sci-Fi contest. Find all of Tony's open source code on GitHub.